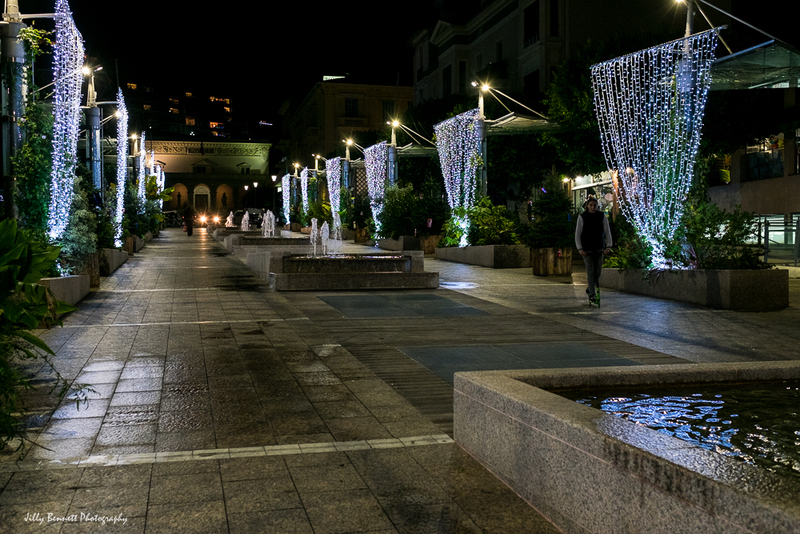 Christmas lights in Rue Loredan Larchey, Menton and a lone skater. Lumières de Noël dans la rue Loredan Larchey à Menton avec un skater solitaire. They look like liquid draperies. Lovely. Lovely reflection in the water, too. Merry Christmas, Jilly and all.